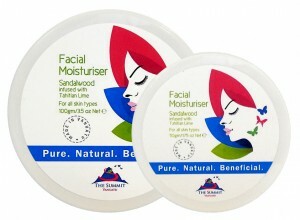 An all natural Facial Moisturiser and daily antidote of purist quality ingredients. Lightly fragrant Sandalwood oil, produced at our artisan distillery, soothes, smoothes and hydrates with its remarkable anti-inflammatory properties whilst Tamanu Oil dramatically heals any blemishes with its anti-burning, pain-relieving and moisturising traits to leave your skin absolutely rejuventated and hydrated. 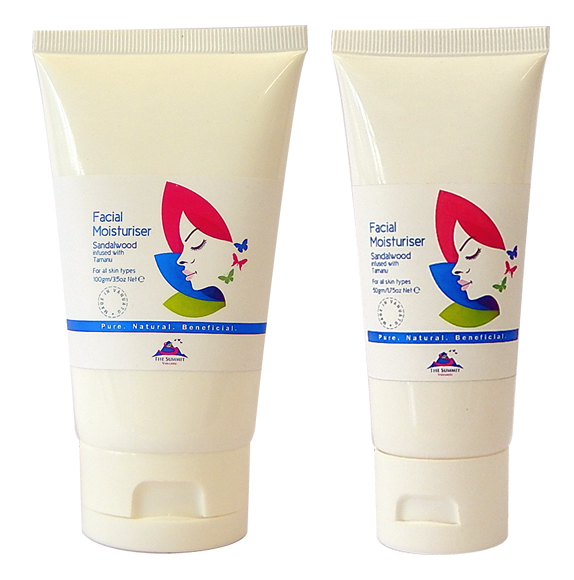 Also available infused with either pure Ylang Ylang or Tahitian Lime essential oils, your senses will be gently aroused with the delicate fragrance of pure, fresh botanicals whilst skin tone benefits and is enhanced.